Real Estate Sale is a transaction that people don't carry out often. It is often thought that selling a property means to put up a advertisement to the page and signing a contract of sale at a notary. In fact, the sale of real estate is very nuanced, starting from regional market analysis, object documentation control, proper marketing and selection of advertising channels, finding the best loan solution to legal advice. In addition to the classic brokerage and valuation service, we also offer loan facilities to buyers in cooperation with the largest banks in Estonia. Sale of real estate with the best possible price and the best possible time. The sales organizing fee is negotiable. 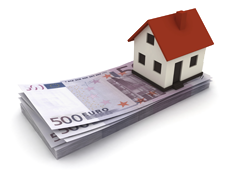 Depends on the sale price of the property, the location and the content of the service you expect from the broker.